6 degrees of separation : Roy Wood links my 9-year old DJ skills and a friend. I have been listening to the extended 90-minute version of the ‘Record Producers’ programme on Roy Wood. More here on the BBC Radio2 website. Growing up in the 1970s I only knew Roy Wood through the b-side of his single ‘Forever’ which a schoolfriend had given me. At that point I had maybe 3 or 4 records (the others escape my memory now but they were probably hand-me-downs from my parents). My real record buying wouldn’t start for another 3 or 4 years. The b-side was titled ‘Music To Commit Suicide To’ and it was an insrumental. This piece fascinated me for a couple of reasons. First off the count-in remained on the single. I imagined that Mr Wood had been in such a rush to get this single out to the shops that he didn’t have time to edit out the count-in. Bless my innocence. The other was the scary sections of the track with the stomping piano and bass. This would come back into my life 30-odd years later. I used to record my own radio shows on a 30 minute cassette tape I had managed to persuade my father to give me. Being a slick 9 year old DJ I knew I needed some theme music. Having an instrumental track made my productions all the more slick. 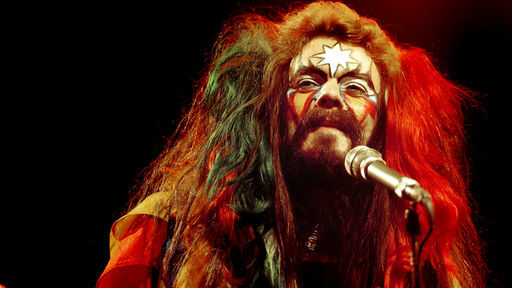 A friend of mine was discussing Roy Wood with me a couple of years ago. To describe this friend as a fan of Roy Wood would be an understatement. A little bird tells me you’ll hear a cheeky sample from that b-side on an album my friend recorded. Funny how it all comes full circle. In the first comment you’ll find a link to two mp3 files of the excellent BBC radio show. On the next ‘Producers Cut’ in the ‘Record Producers’ series, Richard Allinson and Steve Levine look at the work of a man who has achieved the rare feat of having Top Ten singles with three different groups, and as a solo artist, yet remains somewhat under-valued in his contribution to British pop music – Roy WoodFollowing a Denny Cordell-produced debut album by The Move, Roy took over the controls for the rest of the group’s career, then went on to form Electric Light Orchestra with Jeff Lynne. After a stunning debut single, ‘10538 Overture’, he left to write and produce a string of hits with his new band Wizzard. At the same time, he was writing and recording as a solo artist, giving him a further four hit singles and an acclaimed debut album ‘Boulders’.This extended version of the Radio 2 documentary concentrates on his work during this period, but also contains some of his production work for others, such as the ‘Annie In Wonderland’ album by Renaissance singer Annie Haslam.Featuring interviews with Roy, Jeff Lynne, Alan Parsons, Annie Haslam and others, Steve and Richard also take an in-depth look at the original multi-track recordings of ‘10538 Overture’ by ELO; Wizzard’s number one ‘Angel Fingers’; and Roy’s Top 10 solo hit ‘Forever’; one of the oldest surviving recordings of a Roy Wood song. In an exclusive to this 6 Music ‘Producer’s Cut’ there’s also an analysis of a seasonal favourite – the multi-track of ‘I Wish It Could Be Christmas Everyday’. Part One: http://lix.in/-4afdc2Part Two: http://lix.in/-4c8463Enjoy.